Vegetarian Slow-Cooker Pumpkin Curry | What's for Dinner? What’s better than pumpkin to welcome the beautiful fall weather? This delicious, hearty pumpkin curry is sure to become a family favorite! 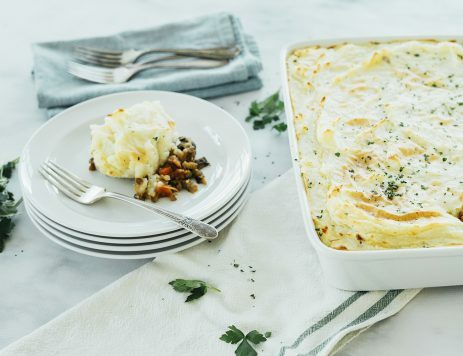 70% of homecooks would also make this recipe! 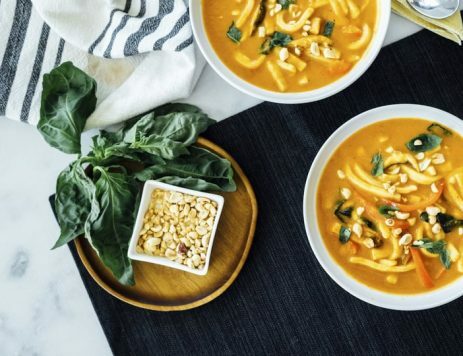 In a 6-quart slow-cooker, add pumpkin, onion, red pepper, green pepper, chickpeas, carrots, vegetable broth, garlic, ginger, curry powder, cumin, turmeric and salt. Turn slow-cooker off and add coconut milk. Cover with lid and let sit for 10 minutes. Preheat oven to 350ºF. Arrange flatbread on baking sheet and bake for 2 minutes, until warmed through. 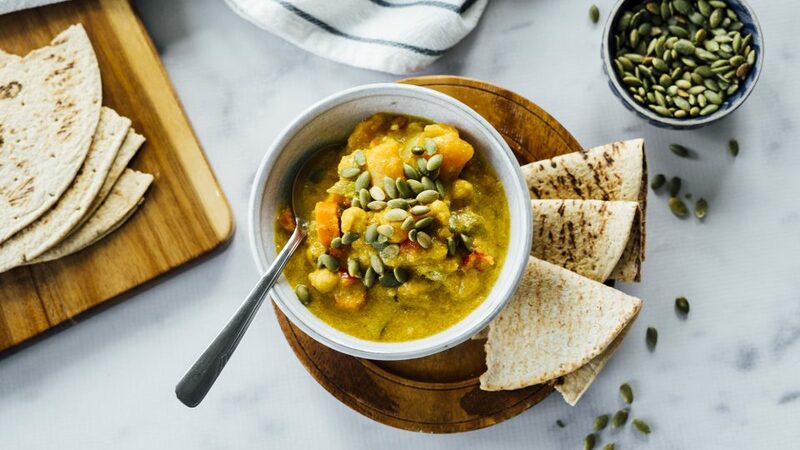 Top curry with roasted pumpkin seeds and serve with warmed flatbread.